Belgian imprint Curle Recordings have been a label deserving of our attention for some time now, having released released work by SL favourites such as Lucy, Kangding Ray & Conforce. The latest offering comes from Argentinian techno veteran Jonas Kopp, and makes up his third release for the label. The ‘Desire EP’ is a pleasantly diverse release, showing as much a mastery of textural richness and raw musical ideas, as it does dancefloor functionality. It is perhaps proficiency with which he pulls off both these skills which makes the release such a satisfying bridge between house and techno, without feeling like a compromised version of either. There is a mysterious quality to title track ‘Desire’, faint vapourous atmospheres remain a constant, whilst distant low-pitched spoken word samples occasionally interject Kopp’s hypnotic, soporific melodies. 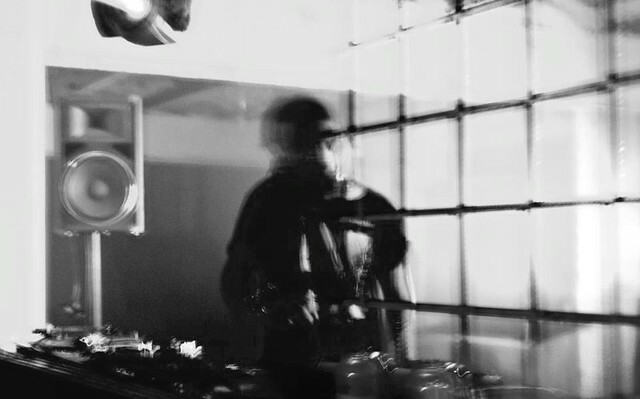 There is a brittle, mechanical feel to the tracks biting rhythmic elements, a trademark feature of Kopp’s productions which endure throughout the EP. ‘Reject’ is a much tougher affair, employing stiff tech stabs and awkward, faltering kick drums. The track works up to a hectic climax from fairly humble beginnings, doubling up on piercing claps and choppy hi-hats. Third track ‘Chaos’ employs a similar formula, although feels significantly less disciplined, and more inline with the groove laden, funk tinged techno of someone like Alden Tyrell or Chevel. Such an approach has been employed by Kopp previously, such as on the Deeply Rooted House released ‘Green Fingers’. Having said this ‘Chaos’ makes use of much darker tonality, and it is the marrying of this with the track’s coarse grooves that make it so appealing. As the track progresses Kopp’s pulsing stabs are opened up with dousings of reverb and filter, whilst jagged rhythms stutter along underneath. The necessity of ‘Reject Outro’ on an EP which for the most part remains largely dancefloor functional is debatable, however the track does provide a fittingly reflective Oneohtrix Point Never-esque closer, giving some welcome breathing space from Kopp’s fantastically choppy rhythms.